Plant loving visitors from all over the world head to Fallbrook in San Diego’s North County, to enjoy both nature and nurture, as commercial horticultural excellence has found a home in the green hills here against the backdrop of soaring oaks, 365 frost-free growing grounds, and all that the stunning Santa Margarita River Reserve has to offer. 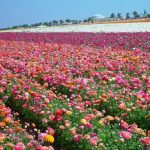 Spring 2018 has plenty in store for the plant loving visitor to North San Diego! 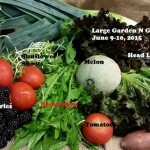 Offers a 2-hour class in how to plan your water-wise garden using innovative recycling tips and more. Come get inspired! 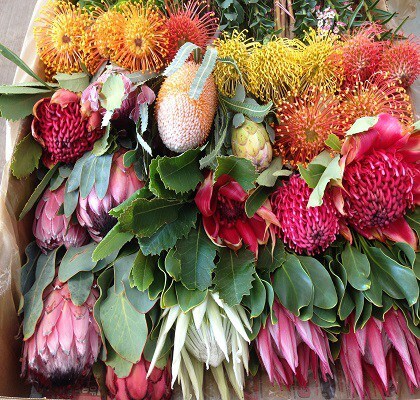 A once in a lifetime gala dinner celebrating the amazing exotic plant, the prehistoric-looking protea, hosted by local experts in the field, the Resendiz Brothers. Only a handful of growers in the nation can claim to be experts in this slow-to-mature plant that has captured the imagination of flower designers the world over. 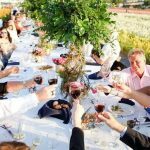 Meet Fallbrook’s growers and learn about this stunning, long lasting flower, while enjoying the breathtaking flower-covered hillsides surrounding the dining venue. 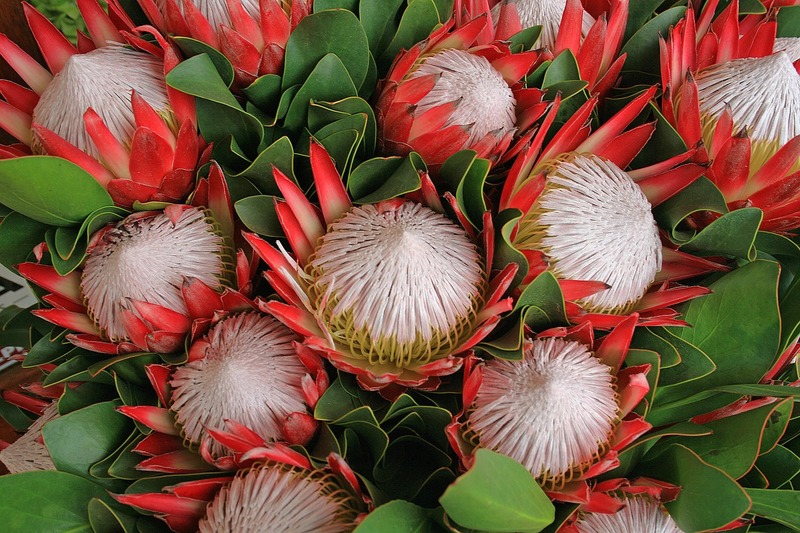 Dinner includes a multi-course gourmet meal amongst tables designed with fresh protea flowers. $18.00 for Children ages 3 – 10. $3.00 for Children ages 3 – 10. $185-$205. The sister event to the Protea tour earlier in the month. 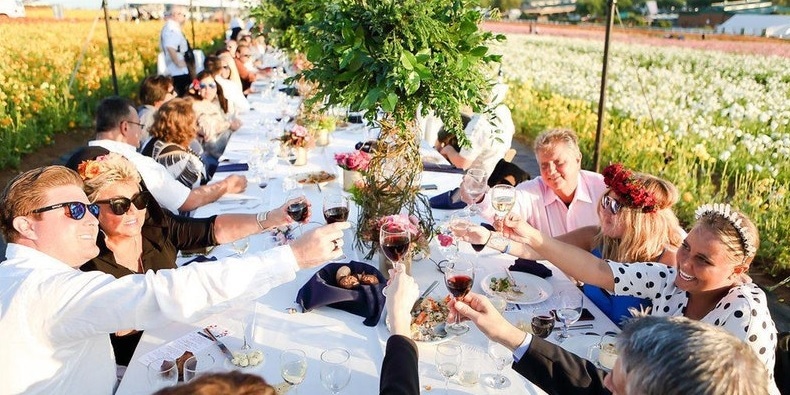 Set in the world famous growing grounds of Carlsbad’s flower fields, the gala dinner event sells out every year. 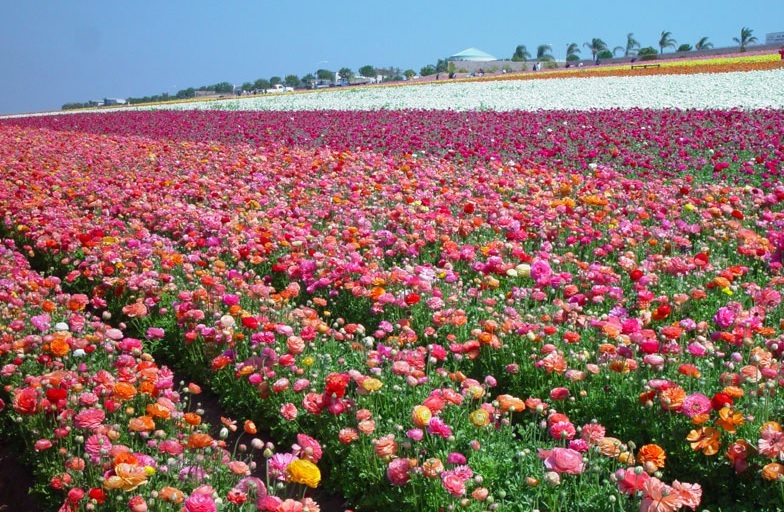 Meet flower farmer Mike A. Mellano of Mellano & Company and learn about his family’s flower farming history while enjoying an artisan dinner in the middle of a sea of ranunculus. No charge for entry to the event. 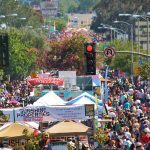 One of Fallbrook’s biggest community events, the festival has so much to offer…music, food, plant sales and more! Fallbrook has billed itself as the Avocado Capitol of the World, not without reason. The subtropical hills are dotted with small avocado ranches despite NAFTA’s impact on growers in the area…some still persist. Parking can be an issue, consider UBER/LYFT and avoid the nonsense. 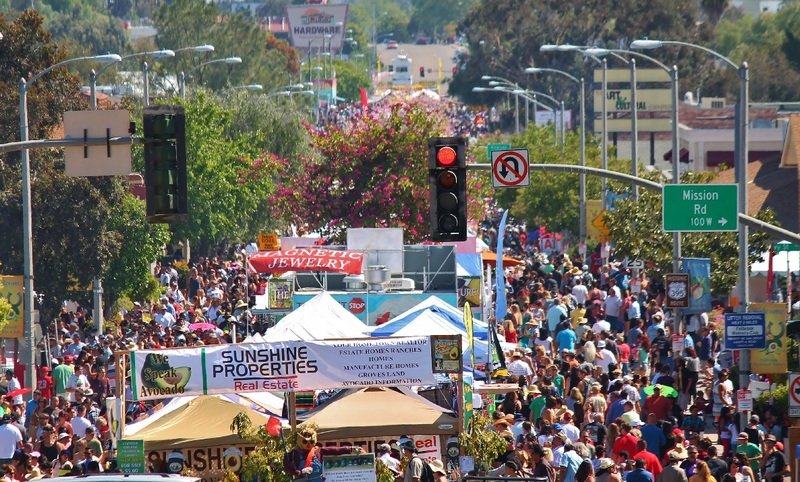 Lots of booths of interesting things to explore, food to try, and plants to buy. 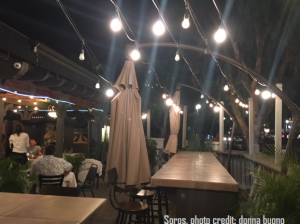 A trip to the area in search of the best cheese isn’t complete without a taste of Soro’s Mediterranean Grill’s saganaki. Served as an appetizer (12.95) for lunch or dinner, it could easily be the main course with a nice glass of wine. Soro’s rendition of Saganaki is flamed and spiced feta cheese prepared table side with brandy and lemon. Curl up with your friends on the floor pillows or dine at a table, but enjoy the authentic offerings. If you’re enjoying the trip with a few friends, the Mezza Plattter ($49.95) is appetizer paradise. It includes their amazing hommus, baba ghanoush, tzatziki, tabouli, dolma, falafel, tahini, boorak, potato chop, feta cheese and Kalamata olives. This is the place to go in Old Town, not far from Soro’s. Hidden down a little street off the main drag. A candy store for cheese lovers, their selection is considered to be the best in the valley by many. 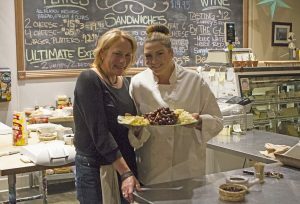 Their menu lists a 2, 3 or 4 cheese plate combo that includes fruit, bread and olives. They offer a fun Cheese Lovers’ gift basket…perfect for scooping up and taking on a hike, or keep it simple and head over to the grassy slopes of Duck Pond (corner of Rancho California Road and Ynez Road, Temecula) and enjoy your cheese while watching the ducks. Duck pond is rarely crowded. 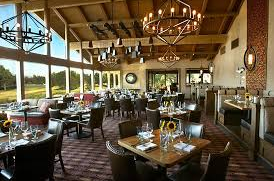 Temecula Creek Inn’s Cork Fire Kitchen offers a stunning view through sheets of expansive glass, looking down on the manicured greens and water features below. Their cheese board is a favorite (small $13, large: $18) includes house-made jams and chutneys, as well as nuts, local fruits, and honey. In the colder months of the year, their beautiful bar offers a blazing fire, romantic lighting and comfortable seating. 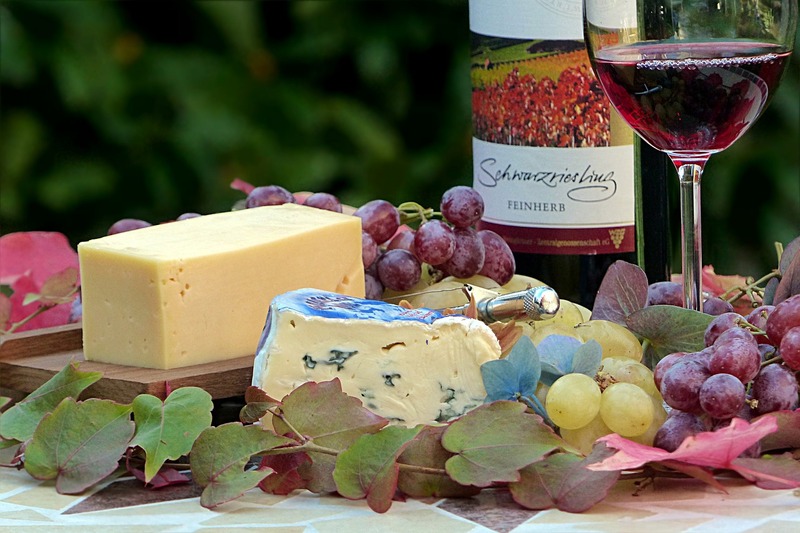 Great place to enjoy wine and curd; a lovely cheese platter, a glass of wine and good company. Come with that special someone, or gather a group and book several homes on this 20 acre farmstay tucked in the hills between Fallbrook and Temecula. Accommodations from one to 15 guests, with a one night minimum stay. Cheese making classes are offered to overnight guests ($135 for up to 4 attendees). Learn how to make a 30 minute mozzarella, garlic cream cheese, ricotta, and queso fresco in less than 3 hours. Walk the farm, meet a herd of friendly dairy goats, or soak in your private hot tub. Everything in our boxes this week is identifiable except perhaps the sapotes, upper right in the photo image above. Like avocados, they need to soften after harvest; they will not soften on the tree. Like most subtropical fruit, they are best left unrefrigerated. Leave on your counter until they are slightly soft when pressed and then cut open as you would an avocado. The white, creamy flesh is delicious! Come on out to Morning Song Farm for our Mostly Mozzarella Class. We’ll focus July’s class on mozzarella and do a couple other very easy fresh cheeses to round out the class time . Limited class size so everyone can actually get their hands into their own cheese, rather than just watch us make it. Mozzarella is remarkably easy once you learn the pitfalls, and have made a few batches. The recipe we’re using is the 30 minute version. The tough part is learning how to understand your cheese, how to knead it properly, drain it and what to look for to reach a beautiful stretch. We’ll also make a garlic ricotta spread, and an herbed queso fresco to round the day out. 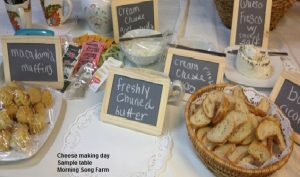 You may find that you’ll discover a passion for cheese as we have here at Morning Song Farm. It’s easier than you’d ever think! Take notes, and follow along with handouts and easy to follow recipes so that your success is insured when you repeat the steps at home. We’ll talk about which milk to use, cultures, and why certified organic milk isn’t your best choice. Don’t be afraid to bring your appetite, as we nibble throughout! 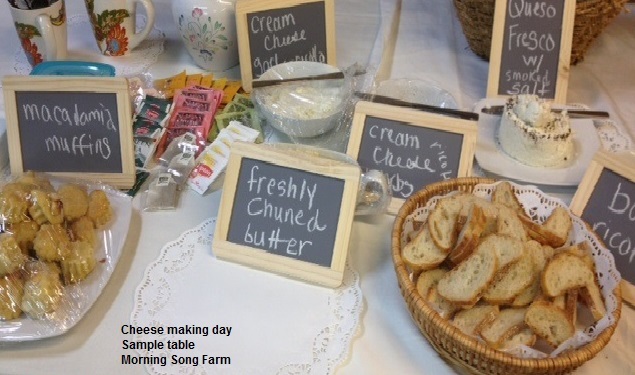 Class starts at 9:00 with sampling freshly made cheeses as well as our just churned butter with bread, muffins and coffee, while allowing you an opportunity to meet your fellow cheese loving adventurers! Get a chance to meet the farm’s beautiful Nigerian dairy goats at the end of the class, and pet our friendly herd. Bring a crunchy granola bar or two and you’ll be everyone’s best friend, especially Carl The Herd Leader who eats anything but really gets excited if it’s crunchy. Tuition: Even if you are a much appreciated farm member, payment and reservations for our cheese classes need to be made here so that we can use the Meetup software to keep an accurate headcount. Please, no impromptu arrivals. Our Mozzarella Class size is limited for a reason, we need to have firm reservations so we don’t overbook. The pathway to the barn is rough and unpaved, so stash the stilettos or dress shoes; and opt for sneakers or boots for your cheese making day. We’re excite d to see the blackberries come in so well this year despite reduced watering. They are being picked dead ripe, so won’t stay fresh for very long. 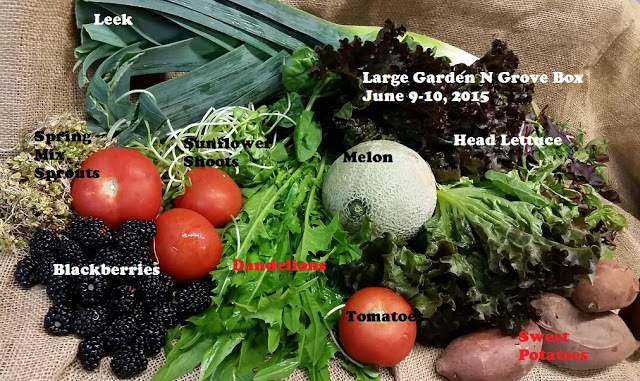 Some years we’ve tried picking a little unripe, however what’s true is that picking dead ripe insures full flavor. The downside is they don’t last long! 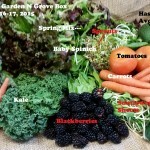 As the heat has arrived consistently now, this is the last week that we’ll be growing sprouts for our CSA boxes. Please do pick up your boxes as soon as possible after our truck delivers so that your produce remains fresh. Hydrocooling is helpful if you’ve arrived late to discover wilted greens: dunk in a sink full of chilled water, shake and refrigerate. This is what restaurants do to insure crisp greens and works just as well in a home kitchen. We’re at the tail end of our avo season, still plenty of fruit out there, but some of the skins are now not sporting cosmetic perfection. The trade-off is that a summer Southern Cal Hass has wonderfully high oil content and is fully flavored. Off-shore fruit is coming into the grocery isles and will look beautiful but not have the oil content that local avos have. Harvesting under ripe fruit maximizes production returns while shipping thousands of miles under refrigeration and then gassing on arrival to achieve an appearance of ripeness results in a beautiful looking fruit but often poor flavor and oil content. We had hoped that we’d get one more week out of the mulberry grove, but the sudden hot spell vanquished all hope there. All the berries fell off on Sunday and the local bird/rabbit/squirrel population are having a berry fest field day. Best mulberries ever, this was a good season for us, as many years we’ve only gotten a week or two out of the grove. Next year, it will be even better as we learned a thing or two about mulberry management. We also discovered that rattlesnakes like to hang out in that part of the farm, and so next year us harvesters will be “chapped up” with rattlesnake protection, at least in the early weeks of picking when the snakes have gotten accustomed to having the grove to themselves. For whatever random reason, you now have to click on the image to view the entire thing. Beautiful box es this week. We’re in full Satsuma Mandarin harvest now, and hope everyone enjoys these little gems. So easy to peel, and intensely flavored. We lost our entire fioja guava harvest to agricultural theft this year, (along with pomegranates…earlier) so the wonderful Satsuma harvest is really appreciated. We actually confronted a thief last week helping herself to our tangelolos, which aren’t ready to harvest yet….and her comment was that she thought that fruit trees near where she could park on our property were ok to pick. Wow. Just wow. Anyway, fencing is in order for 2015 as the entire 5 acre parcel in the front of our farm seems to be open season for marauders. Just amazing. I really think 20 years ago….heck 3 years ago….thieves wouldn’t justify their theft. “Ok, you caught me.” Or something of that order before. Now they actually have a moral-ground position. 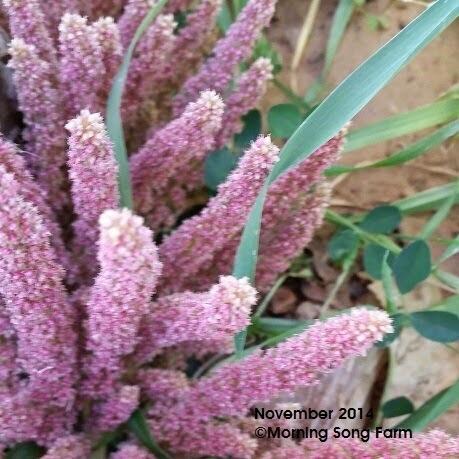 Amaranth is among the grains written about years ago in, Save Three Lives, A Plan for Famine Prevention by Robert Rodale. Some of my readers may remember that the Rodales published the Organic Gardening Magazine and were champions of all things pure and clean long before organic certification and commercialization of the organic meme happened along. So…that must be 20 years ago now. I became really interested in amaranth because of Rodale’s writing and have grown some ever since, although never successfully enough to offer to CSA members as an edible. We thought we’d try something innovative and try sprouting the seeds, and although they do sprout, and they are a beautiful rose color, the sprouted seed isn’t all that tasty. Yes, high in protein, but somewhat bitter. A few of the tiny seeds from that recent experiment landed in the avocado grove, and yesterday I found these plants. They’re gorgeous!